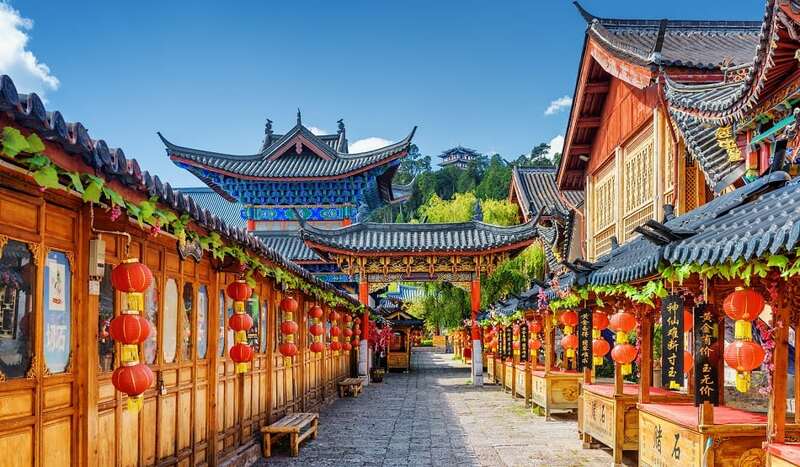 Lijiang, a city in the northwest part of China’s Yunnan province, is home to several ethnic minority groups. A commercial center in the 1300s, its old town features cobblestone streets, canals and Central Market Square with stores and restaurants. Black Dragon Pool has famed views of the Jade Dragon Snow Mountain range, with the Moon Embracing Pavilion.